Axis Insurance Services will be co-hosting an event benefiting Autism Speaks and the Northern New Jersey Walk Now for Autism. The company released the following statement to detail the event. A winter social supporting Autism Speaks will be held at Valley Stables Food & Drink on February 25th, from 6 pm to 10 pm. Live entertainment will be provided by Jim Gysin and 30% of the proceeds will go directly to Autism Speaks. 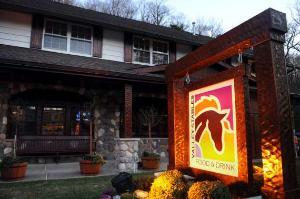 Valley Stables is located at 588 Ramapo Valley Road Oakland, NJ 07436. This social is informal and will help raise awareness of autism. Autism is the second most common developmental disorder in the United States affecting one in every 88 children born today. More children will be diagnosed with autism this year than with AIDS, diabetes, and cancer combined. Research is crucial. Despite some promising discoveries, the cause of autism is unknown and a cure does not exist. Our goal is to change the future for all who struggle with autism spectrum disorders, and soon. Two local businesses, Valley Stables and Axis Insurance Services have teamed up to promote the event to help raise awareness of Autism. Everyone is invited to attend. You can stay 20 minutes or the entire 4 hours and enjoy the live entertainment and company. Team Franklin Lakes Cares will be organizing a team to participate in the upcoming Northern New Jersey Walk Now for Autism to be held at MetLife Stadium on May 18th. You will have the opportunity to volunteer or sign up to walk at this event. For more information, please contact Mike Smith at 201-847-9175 or at msmith@axisins.com.